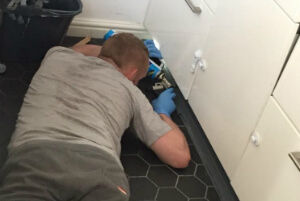 Office & Home Pest Management West London W | Quality Property Care Ltd.
Quality Property Care Ltd. offers professional residential and commercial pest control services to all residents of West London W and the area. We can take care of a wide variety of pests, including rodents, flying and crawling insects. The pest control specialists are all certified, vetted and experienced. We offer professional pest inspection, treatment and prevention at the best pest control price around. Say goodbye to your pest problem forever by booking the professional pest control services of Quality Property Care Ltd. in no time. Quality Property Care Ltd. provides a full range of commercial and residential pest control services in West London W. They include flying and crawling insect inspections and treatment, as well as stopping the entrance ways, trapping and removal of rodents and other unwanted creatures. The pest specialists are licensed by pest control agency and have passed trainings for efficient and safe use of various insecticides, traps, baits and pesticides. The company offers a one off pest control service as well as a guaranteed one, which includes 2 follow up free visits by pest control inspector. 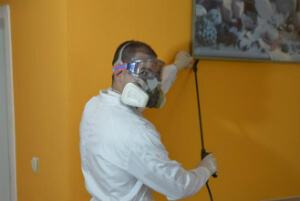 The services we deliver are: inspection, treatment and prevention of pest infestations. Once you book a pest control service from Quality Property Care Ltd., you will be visited by a pest technician who will perform a full examination of your property. He will assess the level of the infestation, as well as determine the entry points and plan the most efficient and suitable procedure. Depending on the type of pest, different baits and poisons will be applied. All of the insecticides and pesticides are from an accredited UK pest products provider. We will give you detailed guidelines about the safety measures that need to be taken before and after the pest control treatment. You will also receive a written report for the pest control service provided. Our company offers a 3 month guarantee for the quality of its services, and this includes 2 visits by the pest control expert for additional inspections and treatment if needed. We get all of our supplies and equipment from licensed suppliers in the UK specialised in PEST control related products. With more than 15 years of experience, a team of professionals and the proper equipment, we guarantee no hassle, no more pests and satisfactory results. We can remove ants, bedbugs, cockroaches, fleas, silverfish, woodworms, dust mites, wasps, rodents, moths, rats, squirrels, bees, flies, pigeons and more. The pest control service is easier and faster if the infestation is small enough and you have called soon enough. However, if there's already a rat nest, we need to approach with a more harsh solution. Our pest specialists identify their entrance points, then eliminate any food leftovers and plug the access points into the property. To catch the rodents the pest control professionals use non-lethal traps and glue pads with decoy food on them. Once set the traps sit for a couple of days. If you’ve booked a follow up procedure the technicians check to see how effective the traps were and eliminate the pests from the house. If you haven’t booked a follow up you might have to do that yourself. To book the professional pest control service you need, simply call 020 3746 4287 or fill in the online booking form. The customer support will process it immediately. No deposit is required for booking. No hidden charges, fixed price rates. You will pay after the service has been provided. Get rid of all those nasty and annoying pests, and book your professional pest control service now!